Now is the ideal time to look at securing and updating your garden for those fast approaching winter months. Here at North West Timber Treatments we have all the garden fencing supplies you’ll need to make sure you are safe and secure. We have great selection within our range of fence panels, standard or European, to suit all your garden fencing needs. 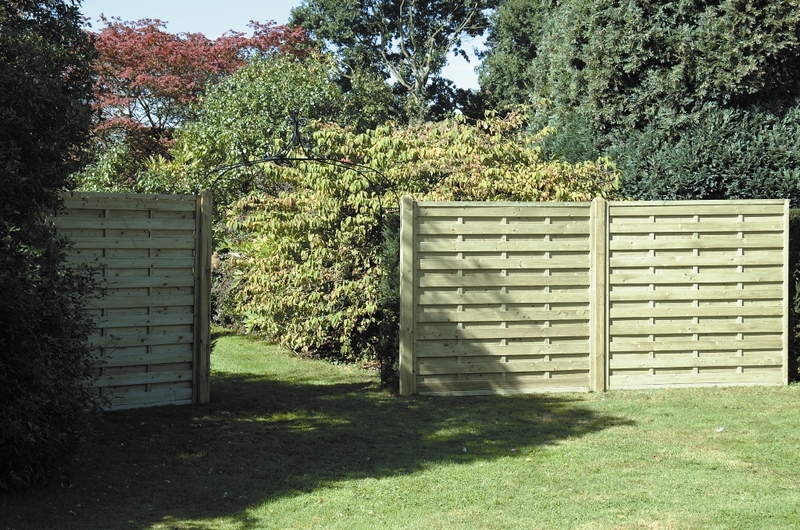 North West Timber Treatments panels are great for a garden with a simple and clean finis. Our Economy Waney Panel is the Uk’s most popular fencing panel, and North West Timbers most popular too; it’s not hard to see why. The Standard Economy Waney panel is ideal for garden boundaries, with its 6mm waney board which are nailed (overlapping) horizontally. The panel is also framed at the bottom by two vertical battens for strength and peace of mind. Manufactured at our Manchester depot, you can be assured they are of the highest quality, and that they are secure for all gardens because we made sure they have been dip treated with water based preservative to protect against rotting. We are also proud of our quick selling Economy Vertical Weatherboard "BETA" Panel. This particular panel is the best value for money. It has flat top capping and has also been pressure treated. It is available in multiple measurements and in a round top alternative for an extra touch to make your garden more distinctive and unique. The traditional and clean look of this fence panel makes it a great addition to any garden of any size for privacy and style. For a more decorative touch in your garden, we offer a range of European panels. Our most popular design is the Omega Lattice. With horizontal boards and an omega shaped diamond lattice, it’s bound to make a fantastic statement in any garden of any size. Because of its shape and make, you can be sure it looks equally as good on either side. We’ve made sure that you’ll be happy with the quality of this product, which is why the Omega Lattice has stainless steel fixings for durability. To help with durability we also have the panel pressure treated to a high quality as to prevent insect infestations, fungal decay, and rot. We also have a Square Horizontal Fence Panel, which sells at the same quick pace. Its distinctive modern look is perfect for any garden, and just like the Omega Lattice it has the same physical qualities on either side of the panel for consistency. The Square Horizontal Decorative Panel also has increased durability because of its wind resistant qualities. Completed to a high standard with stainless steel fixings means you have peace of mind that this panel has been finished with quality in mind. We recommend this panel is used for boundaries, with its decorative finish. Not to forget, during your garden re-vamp, we also sell a range of concrete posts. Most relevant to a Garden Fencing project, we have Intermediate Concrete Posts which also go by ‘H Posts’. 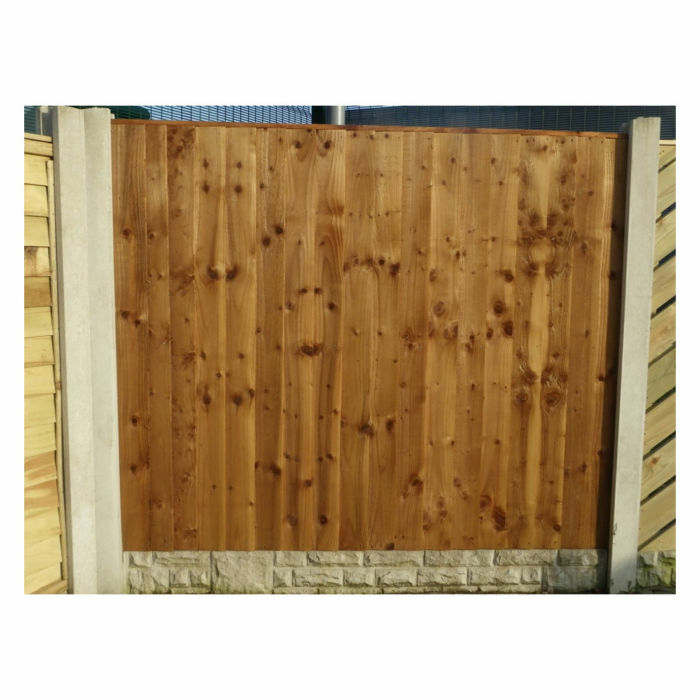 These slotted posts allow for fence panels to be installed quickly, with no need for panel clips. They are stronger than conventional timber posts and are finished as a smooth light grey post. Intermediate posts are recommended for domestic use because of their durability and long lasting qualities.